Hope you all have had a fabulous week so far! I'm just glad that it's almost the weekend. Why, you ask? Well... this week we've been to Lincoln, gone on a wild raccoon chase, played with 10 adorable kittens, and... yeah, that's about it. Exciting times over here. I'll blog about the raccoon thing at some point, I'm sure. Unfortunately, I don't have much photographic evidence. Anyway. As you all know (or didn't know), we spent this past week in South Dakota. You saw some pictures of the hike we took in this post, but what you haven't seen yet is the most random, chaotic, and interesting place we visited. We stopped on our way to Mount Rushmore on Independence Day. 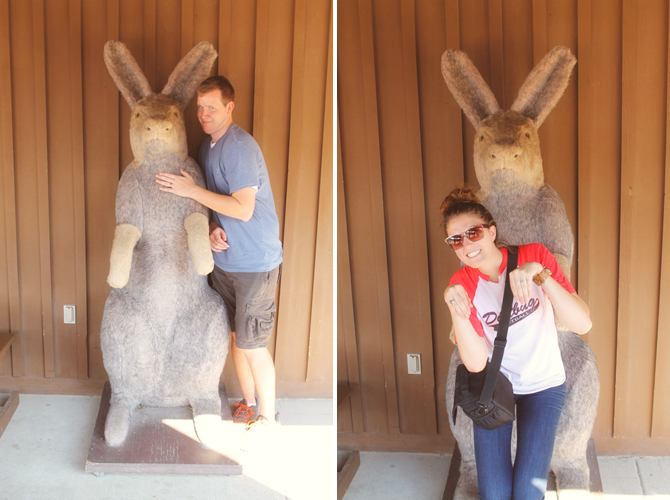 It was my second visit to Wall Drug, and that place never fails to disappoint. They have hundreds of billboards from Iowa to Nebraska to Wyoming telling you to go. Obviously we went. And, unlike the raccoon situation, I have plenty of photographic evidence. 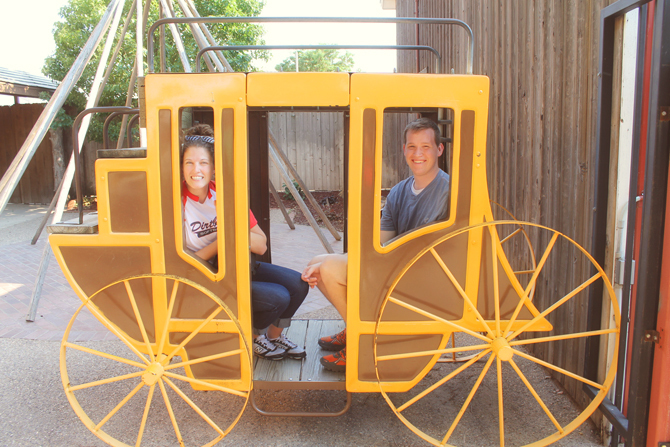 Have you ever heard of Wall Drug? Have you been there? I love fun little towns like that! I went to Mt. Rushmore with my husband when we were still dating and it was one of my favorite places I've been to in the states. Have you been there before? The hiking trails are really great. Have a lovely time lady!! How much fun! Love the pics!!! I've never heard of it! Looks fun! glad you got some pics!! no, i have never heard of it nor been there. but somehow, these photos explain my weird dreams last night....except i'm just now reading this. 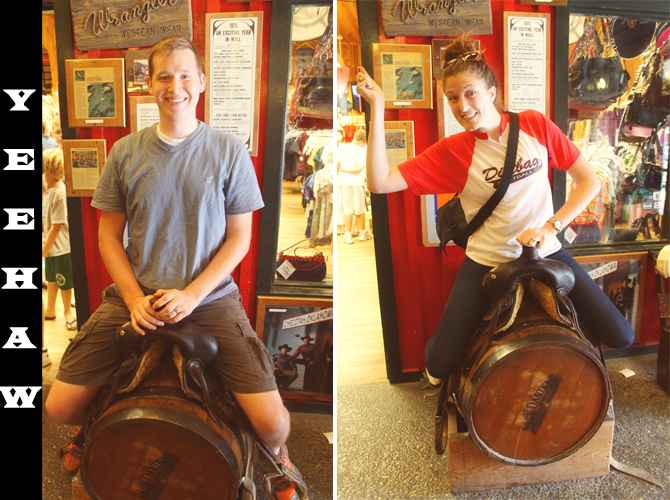 my favorite is definetly the picture of you riding a barrel like you stole it! looks like a fun excursion! I have never heard of that place before but your pictures make me laugh so much! Haha your pics are too funny! Looks like a fun and interesting place to explore. This place looks so crazy haha I definitely want to go now! I love those signs, and I love that store! 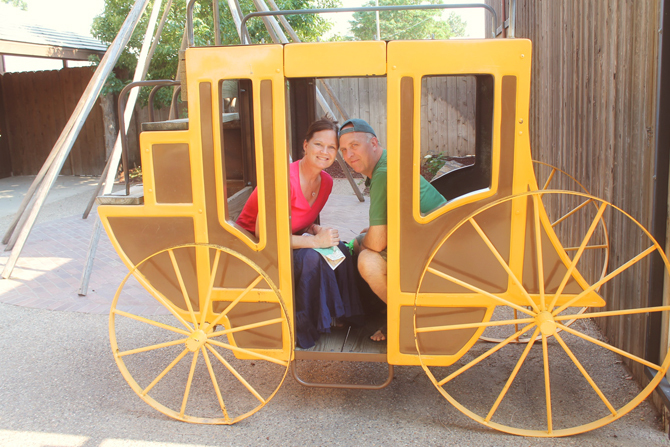 I made the hubby stop there on our way to Minnesota one summer, and it was definitely worth it. 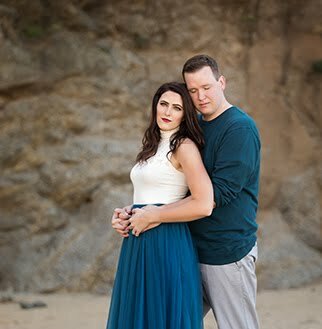 Love the pics! SO cute! Love that last bunny pose there. Haven't been there... yet. We both know a game changing weekend is impending. 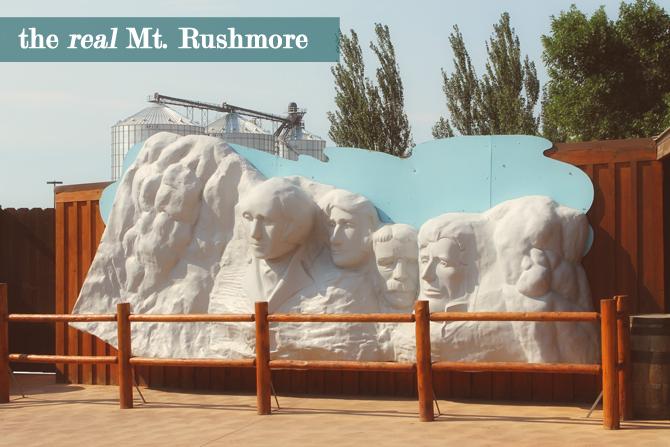 This very well may change, provided Mount Rushmore is as disappointing as everyone says it is. Ooh, speaking of, I sprung an extra $5 a night to have electric hook-ups at our campsite. See how fancy we're getting for our trip??? I know you're impressed. 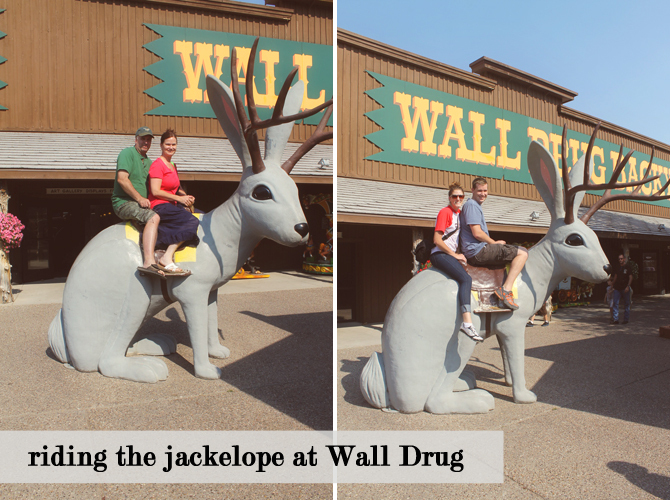 I went to Wall Drug in 2005 with my family and it was amazing! Do they still have amazing cold water? They had cold water right out of the pipes back then when I went and it was the middle of Summer! So crazy! Glad that you had fun.